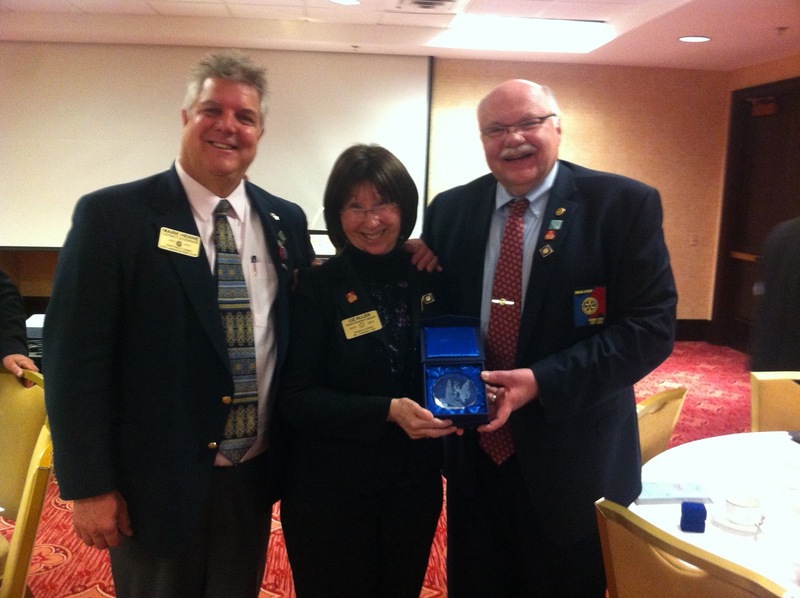 Congratulations to our own Mark Henne (l) for his leadership at this weekend’s Rotary District 6360 Conference in Grand Rapids, held jointly with our neighbors from District 6290. Mark turns over the duties of District 6360 Governor to Terry Allen (r) at the end of June. Terry and his wife Liz have big shoes to fill! District 6360 in Southwest Michigan is conducting a search for Rotary members interested in applying for the team leader position to head up the 2013 Group Study Exchange team going to Greece in April. Team Leader candidates must be Rotarians and leadership experience is beneficial. The team leader will be responsible for providing guidance to a group of four non-Rotarians between the ages of 25-40 representing a variety of vocations. The Rotary International Website is a great resource for more background information on the GSE Program. For an application, please visit the Rotary International website at www.rotary.org and search for the GSE Team Leader application. The application may be saved as a word file, which can then be completed and either printed or sent as an attachment via email. Please follow the instructions and send completed application either by email to Amy Remmert – aremmert@sbcglobal.net or mail to 1005 Davis Street, Kalamazoo Michigan 49008. Deadline for submitting an application is November 5, 2012 and interviews will hopefully be conducted the following weekend. Amy may be reached at – 269-491-8440 for more information. DGE Mark Henne and DGE Katerina Kotsali-Papadimitrio of District 2470 in Greece have agreed to a GSE exchange in 2013. The two district conferences are only a week apart, The Greek District 2470 Conference is scheduled for May 10-11, and the Michigan District 6360 Conference will be May 17-18. The Outbound team should arrive in Athens on April 16, returning on May 14. The Inbound team from District 2470 will come to Michigan on May 14, and will return to Greece on about June 11, 2013 The District Governors are planning for multi-disciplinary teams, with a goal of learning what role Rotary might play in helping those most hurt by the recessions in our respective districts. District leaders would like to have each team work on one service project in each district. Group Study Exchanges are provided by The Rotary Foundation, whose mission is to enable Rotarians to advance world understanding, goodwill, and peace through the improvement of health, the support of education, and the alleviation of poverty. The Rotary Foundation is a not-for-profit corporation that is supported solely by voluntary contributions from Rotarians and friends of the Foundation who share its vision for a better world.